The latest in the Spider-Man films, “Into the Spider-Verse” takes the origin of Spider-Man and turns it into an animated, comic-style, comedy, adventure. Its main protagonist, Miles Morales, is a teenager who suddenly develops powers that equates of those to Peter Parker’s Spider-Man. Later, Miles is then mentored by Peter Parker accompanied by other versions of Spider-Man through interdimensional collision. This break of reality is the main conflict in the film and, therefore, all of the Spider-Mans must team-up and save the multiverse. “Into the Spider-Verse” was a surprisingly impactful and well-written narrative that gives better storytelling compared to the other Spider-Man movies, though the main antagonist is a bit underdeveloped. What glues “Into the Spider-Verse” together is its comedy and is hilarious in many different ways. The comedy is consistent throughout the film and the use of humor sort of boosts the impact of the story in a way that it makes the viewer to be attentive. Its comic book-like style animation is mesmerizing to look at makes the viewer to watch the screen at all times. Adding to the beautiful visuals, the movie won Best Animated Feature Film at the 76th Golden Globe Awards. 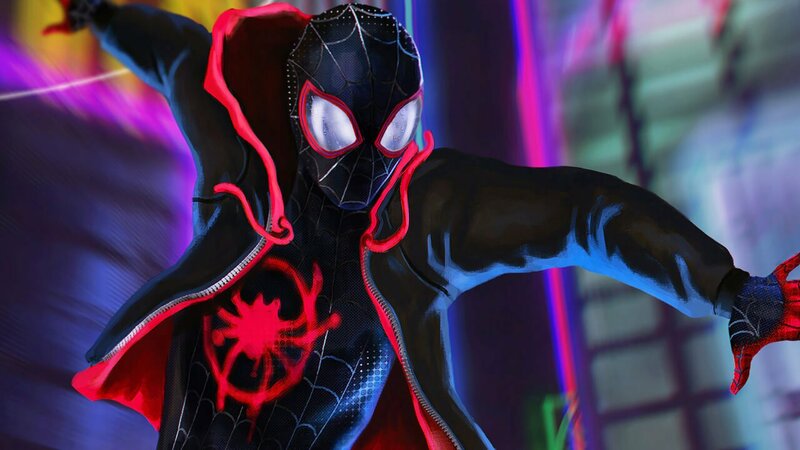 However, “Into the Spider-Verse” isn’t all comical, the story blends serious moments to further develop the movie on an emotional level; especially, with Miles Morales. Miles has struggles with his relationships and his inner-self as he adjusts to his powers, creating a new life for him to get used to. This sense of discomfort and awkwardness helps Miles feel like a real person, making him relatable to many. Spider-Man: Into the Spider-Verse” isn’t a traditional superhero movie. The movie’s unique, stylish, and humorous features gives the overdone Spider-Man an optimistic light that adds on to the hero’s appeal with the people; something that the late Stan Lee envisioned with the character.